Many people just see the Algarve as a beach destination and, although the Algarve does have some fantastic beaches, there’s a lot more to it than just sun, sea, and sand. It’s also a fantastic food destination with many great regional Portuguese dishes that are worth trying. Algarve cuisine is an interesting mix of seafood and meat dishes, which has been influenced by the region’s rule under both Portuguese and Arabic rulers. It also makes use of local ingredients, such as seafood and fish but also almonds, figs, and carobs, which are all used in traditional Algarve desserts. Of course, as well as Algarve specialities like cataplana dishes and piri-piri chicken, you’ll also find dishes from across the whole of Portugal here in the Algarve as well. Although there are plenty of great non-Algarve dishes that are worth trying, it’s always worth trying dishes in the region that they come from. Not only will it be a lot easier to find them here (as opposed to somewhere else in Portugal), but you’re also likely to find the best quality and most accurate representation of the dish as well. The cataplana is a clam-shaped dish that’s normally made from copper, and is used to make stew-style dishes of the same name (e.g. cataplana de marisco, cataplana de peixe, cataplana de peixe e marisco, cataplana de carne de porco com amêijoas). The dish is believed to have been introduced into the Algarve during the Moorish period, and has since become an important part of the Algarve’s culinary tradition. 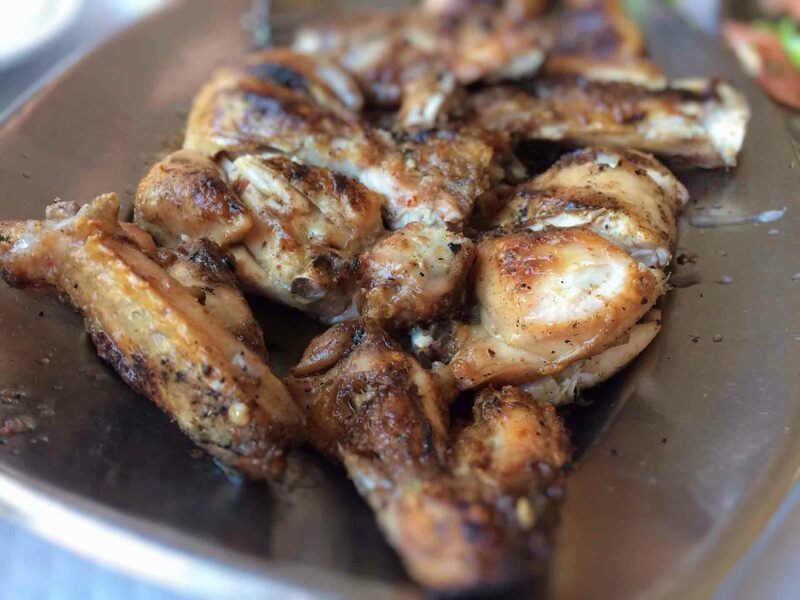 Exactly when the Portuguese began eating frango piri-piri is hard to say, but it’s definitely a dish that has become associated with the Algarve. Guia, a small town near Albufeira, is the town that’s most famous for this dish, but you’ll also find great churasqueiras across just about every town in the Algarve. Seafood is a big part of the Portuguese diet, and Algarvian cuisine, given its proximity to the sea, is very seafood-focused. 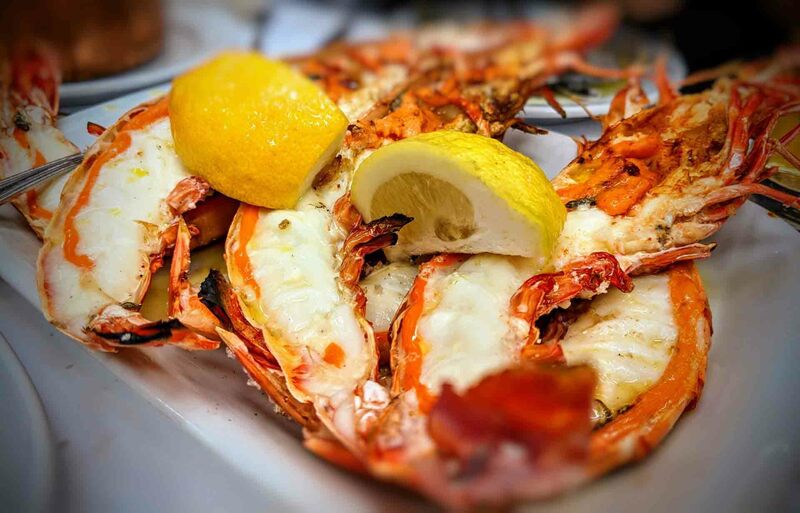 If you’re visiting the Algarve, this is a fantastic opportunity to try all kinds of creatures including lobster, tiger prawn, crab, prawns, perceves, and local oysters from the Ria Formosa. 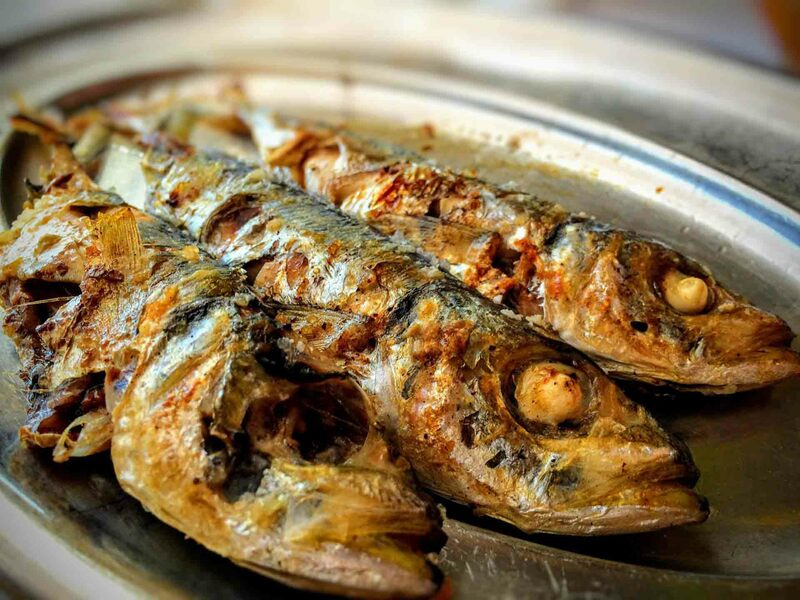 Sardines are eaten throughout Portugal but Portimão, a small city in the Western Algarve, has a long history of catching them, canning them, and also eating them. Every year, the city hosts a big sardine festival along the waterfront (Festival da Sardinha) which normally takes place in August. As well as grilled sardines, you’ll also find plenty of live music, street food stalls, and vendors selling locally-made arts and crafts. While seafood is a big part of the coastal Algarve’s culinary history, the inner Algarve is more focused on meats and sausages. Several sausage festivals take place throughout the year including the Festa das Chouriças which takes place in January in Querença and the Feira dos Enchidos which normally takes place in March in Monchique. Doces finos do Algarve are ornate Algarve sweets that are made from marzipan and crafted into shapes like fruits, vegetables, and small animals. You’ll find them in pastelarias throughout the Algarve and across the whole of Portugal, as well as in the supermarket and speciality food shops. Because they’re so pretty, they make fantastic gifts to bring to friends and family back home. Of course, you could eat them either. Dom Rodrigos is an Algarvian sweet that comes from Tavira on the Eastern side of the Algarve, near Faro and the Spanish border. It’s made from fios de ovos, almonds, and cinnamon and, like a lot of Portuguese sweets, it’s incredibly sweet but delicious at the same time. Queijo de Figo is a very common cake that you’ll find in markets across the Algarve, as well as in local specialty shops. It’s a simple raw cake that’s primarily made from almonds and figs (two popular Algarve ingredients), but also includes sugar, cinnamon, chocolate powder, and aniseed. Medronho (Aguardente de Medronhos) is a spirit, and often quite a high alcohol spirit, that’s made from the fruit of the medronho tree. Although Medronho is produced throughout Portugal, it’s particularly associated with Monchique and the inner Algarve. You’ll find Medronho is most Portuguese supermarkets, but a lot of what’s drunk in Portugal tends to be made locally. You’ll often get given a glass after a meal and some people even believe that if you drink medronho first thing in the morning, it’ll wake you up and get you going. The dishes above all come from the Algarve, but no trip to Portugal would be complete without eating other Portuguese foods like bacalhau and pastéis de nata. Be sure to check out the full list of Portuguese foods from across the whole of Portugal, most of which will be available in most Algarve restaurants.